Noah ([birthday day=”4.2.1996″]) participated in the Stockholm Workshop in 2014. He is attending Hersby Gymnasium in the nature science program. Last year he was an exchange student at Santa Barbara High School. Noah has been competing in ski racing, sailing and tennis. He also enjoys surfing and windsurfing. Except sports, this young Swede likes debating and mock trial. 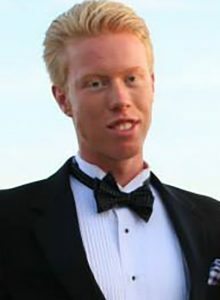 He has been a member of the Santa Barbara chapters in mock trial and Junior State of America. In the future Noah love to work with people and have the opportunity of travelling. Therefore medicine and International Relations are interesting he believes. … a united Europe, where we work and make progress not only as individuals, but as one united power. It’s a hard answered question. If I was to pick one, I think I’d make studies abroad within Europe more accessible.